On this page, I want to share my favorite resources for network marketers. These are tools that I currently use in my network marketing business and HIGHLY recommend. Please know that I do not recommend stuff I do not use myself. I’m proud to be partnered with a natural and organic product MLM Company. This company has been around for about 10-years now. It is free to join. They have their own postcard marketing system. You even get free capture pages. There are currently about 33 different products to choose from. There is no yearly membership fee. There is no auto-ship requirement. Plus, the compensation plan is absolutely killer. I’ve been with the company about 18-months and have approximately 2,600 people on my team. Learn more about the company I work with right here. If you’re looking for a different way to make money, other than network marketing, I highly suggest you check out this turnkey mail order system. You can earn up to $345 per sale, plus ongoing commissions. You can also get paid on three levels of referrals. All you do is mail postcards and the system does the rest for you. This is the most exciting direct mail opportunity I have seen in years. Learn more here. Quite perhaps the best way to make money online is to have your own website, just like I do. This service walks you through the process, step by step, and teaches you how to build a website, pick a niche, research keywords, monetize it and make money online. It’s free to join and it’s an all-in-one service to build a SUCCESSFUL website. I give it a 10 of 10. Take a free tour here. Your number one objective as a network marketer is to have a system for yourself and everyone on your team.The SYSTEM is the solution. Your system should be standardized, predictable and effective. It should generate leads and train people. It should be helpful for ANYONE on your team who wants to use it. It should leverage the internet and work for you 24/7. I have found that system. It is the system I use and promote. It will be useful for any rep in any country in any company. For about $30 per month as a customer, you can have access to their capture pages, training, marketing materials, funnels and autoresponders. This is something your entire team can use. Learn more here. Whether you are building your network marketing business online or offline, you need an auto-responder for your business. It’s mandatory, as I see it. This lets you build a list, send out emails automatically, leverage yourself, free up your time and work smart. Best of all, it can provide you with multiple streams of income. My auto-responder is like a little ATM machine. Every time I send out an email to my list I make money. The only auto-responder I use and recommend is Aweber. For less than $20 per month, you can create a distribution channel that becomes a valuable asset to you. No matter what type of business you own, you need to build a list. Try out Aweber. If you’re trying to build your business online, you need TRAFFIC. These are targeted visitors who visit your website to learn more about what you have to offer. What you will see below are some of my favorite ways to get traffic. This might be the most important “lead generation” resource I share on my website. If you are trying to build up your own email list, or get more leads for your business, this is the only advertising resource you will need. It’s called Herculist. This is a safelist, which is a membership site where people agree to send and receive emails from each other. For about $50 per year, and sometimes it goes on sale for about half that price, you can email up to 80,000 people, once per day, seven days per week. With most emails I send out, I generate about five to ten new leads. If you did that every day for a year, you could generate anywhere from 2,000 to 4,000 leads (individual results will vary). Let me tell you, that is a great deal for the $50 yearly membership.You can also purchase solo ads from them at a very affordable price. 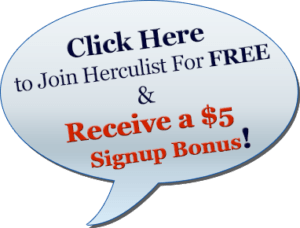 I try to purchase 2-4 additional solo ads per month from Herculist. Normally, they double or triple your order when you buy solo ads, at no extra charge. Whether you are promoting a network marketing company, system, affiliate offer, your services, crypto-currency, or anything else, this is a very valuable resource. I will tell you this though. It’s a waste of time if you go with their free membership or PRO membership. Invest in the GOLD membership so you get the maximum benefit. If you can’t afford that, I wouldn’t use this service at all. Once again, it’s only about $50 for a yearly GOLD membership.They also have an amazing affiliate program where you can earn up to 50% of everyone you refer to them. Learn more about it here. MLM Gateway connects those who are in network marketing and provides leads. It is a combination of a membership site, forum, article directory, and lead generation center. You can connect with other people about your opportunity, write articles to promote your opportunity, do paid advertising on their site and countless other things. You can have a free account or paid account. I became a paid member and really, really enjoy it. Take a tour and create your free account. If you are looking for a quick, and fairly inexpensive way to build your email list fast, and get more leads, you should definitely consider Udimi. They specialize in solo ads. A solo ad is when someone with a large email list sends your email to their list for you. You pay them a fee for doing so. Because they have an email list that likes them, knows them and trusts them, this method is normally very effective for generating leads. Other than Herculist (mentioned earlier) I get all of my solo ads from one single source: Udimi. There are nearly 1,000 vendors to choose from within Udimi. I think of it as a solo ad agency, where you can shop around, price shop, and find a vendor that is a good fit for your offer. If you’d like to learn more about Udimi, check out this link. My only regret with this program is not learning about it sooner. It helps you build a list quickly. You are part of a powerleg. Within 2 days of joining, there were more than 600 people in my power leg, and I was still a free member. These are people you can contact about your business, capture page or affiliate offer. There are free and paid options. Take a free tour and see for yourself. I see this as becoming one of my best lead sources and income streams in the months to come. Take a free tour. Blogging is how I build my business. I’ve been doing blogging since 2011 and absolutely love it. I’ve put together a course with all the “good stuff” I’ve learned about blogging through the years. Learn more about my MLM Blogging Profits Course. As I find more resources for network marketers, I will update this page. Please know that I do earn a commission if you purchase any of these courses, books or products through my affiliate link (unless stated otherwise). Hi Chuck, I am very impressed with the email I received from you today breaking down your multiple streams of income and I rarely comment on things like things but with the exception of me working a couple of different of companies your approach and delivery of information is fantastic and I hope I can learn from you how to put together such a fabulous to the point delivery system of information and grow my business using this. Very impressive. Glad you like my sales funnel, Scott. It took me years to put together and fine tune. I believe in a laid back selling approach, never using pressure or hype. I like to educate my prospects, keep it real and never use hype or any type of deceptive recruiting practices. Thanks for leaving a comment. I just started studying your MLM 7 day course. I am learning a lot from all the useful information you have provided. I am new to MLM and I am a bit overwhelmed. Sadly, my upline has not really trained me and although I have a fantastic product and a great business opportunity, I am not really getting the leads I need to get potential customers and business partners. Although we received a generic website, I know I need a separate one they I should link to the main site. These 2 products work very well, (2 different MLM) but together works wonders! Help! Where do I start, this is very intimidating. The first thing to do is come up with a written business plan for your business. If you want a free 15-minute consultation, give me a call at my home office at (352) 503-4816 and I can point you in the right direction. I will love to try most of the tools you introduce .start with the I can afford now,been in the biz for more than 2years . Different tools work for different people. Check out several and find the ones that you like. Most come with a 30 day money back guarantee so there is no risk. Regarding the lead generating materials mentioned in this section, Ive become so cynical toward anything that’s “supposed” to work that I don’t even know what to do with myself. Its that line between foolishly optimistic and dangerously pessimistic. Its nothing but a big blur right now… I know success is possible. I just don’t know how to weigh my options. Different things work for different folks, Deborah. What I do won’t work for everyone. My team does things that won’t work for me. You have to find a lead generation strategy you are comfortable with and MASTER it. That takes time, patience, hard work, and money. If you would like my free CD on different ways to generate leads, give me a call at 352 503 4816 and I will mail it to you free of charge. Great information Chuck! You have cleared several things up for me. Keep up the great work! Glad I could help. Good luck with your business. Thank you Charles for your Netowork Marketing Tips. Me and my team will learn from you. I’m glad that I could share some valuable resources to help you and your team. I wish you continued success and happiness. I have never used a list builder and/or auto responder. The idea seems like a sound one. I saw that in several posts you recommend Aweber adn that the price is 19 dollars a month. Can that be easily set up, under one subscription, to work for several network marketing businesses (if I am involved in more than one)? You can manage multiple lists in Aweber. I manager over 10 lists which cover several different businesses. It is hands down my most valuable business tool. I have been a happy customer since 2009 and am very satisfied with their service. GoDaddy is a good resource. I find their support, tools and resources to be more user-friendly than most website hosting sites, and they have some great practical information and suggestions for small business owners. GoDaddy is also a pretty good resource for email marketing; however, in my opinion, Aweber is better for that piece, especially with the number of features they offer and their integration with Facebook and Twitter. It’s amazing, really, how many options there are anymore. I now use NameCheap instead of Godaddy. I still use Aweber and have been with them since 2009. They offer a great service.